At the time of his death, 23-year-old Daron, the son of Joann and Tyrone Jack, was pursuing studies in the US on a tennis scholarship. Maddox, 24, was convicted around 8 p.m. on March 16, 2011, of fatally beating Daron, with a baseball bat, in an attack the judge described as one of the most gruesome in his 40 years as a lawyer and jurist. Rejecting testimony that the defendant bludgeoned Daron at least 11 times in the head in self-defense, Chesterfield County Circuit Judge Harold W. Burgess Jr. convicted Maddox of first-degree murder in Daronâs October 4, 2010 killing, less than a block from the Virginia State University campus. The state medical examinerâs images depicted deep, jagged cuts, multiple skull fractures and bleeding brain tissue. The medical examiner testified that a paint chip, from the dark-blue New York Yankees baseball bat that Maddox admitted using in clubbing Daron to death, was found imbedded in his skull. The examiner added that there was bruising of the surface of the brain and evidence of brain injuries as well evidence of attempted strangulation by hand. The attack left all four walls and ceiling of Jackâs tiny bedroom spattered with blood. 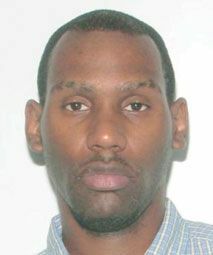 In addition to first-degree murder, Burgess found Maddox guilty of abducting and robbing maintenance man Eugene Davis, who had stumbled into the attack, after entering Daronâs Watson Street apartment that night to perform some work. After being let inside, Davis testified that a man, later identified as Maddox, held him at gunpoint and pushed him down the hall toward the bedroom, where Daron lay whimpering in agony. After being robbed of his cellphone and spotting blood on the floor, Davis said he turned and ran from the apartment. Burgess said he believed there âwould have been another bodyâ in the apartment had Davis not acted to escape. The judge acquitted Maddox of robbing Daron of his cellphone. He set sentencing for June 1 on the other charges, including using a firearm in the commission of a felony. The prosecutors refuted the arguments put forward by Maddox in his defense, preferring to argue that these were merely self-serving, non-corroborated and the two defense witness testimoniesâ were not credible and their chronological recollection of events on the fatal night defied logic. What sparked the squabble that led to Daronâs death remains a mystery, but Maddox said the fatal confrontation stemmed from a girlfriend issue and other disagreements over which the two men quarreled that night. In a private meeting immediately after the trial with Daronâs family members and friends, investigating officers sought to assure the Jacks that, based on their investigation, Daron was indeed a good boy and nothing that Maddox said to the contrary was to be believed. SEARCHLIGHT was unable to reach the Jacks for a comment.